The news for which many of you have been waiting for is finally here. Asus India has officially confirmed that it will be launching the Asus Zenfone Max Pro M2 on December 11, alongside the Indonesian launch. The company has started teasing the smartphone via its official Twitter account and also revealed the first key feature of the Max Pro M2. Usually, smartphone brands don’t reveal which protective layer used on display, but that’s not the case with Asus as it has confirmed the Max Pro M2 will have the latest Corning Gorilla Glass 6 technology on top of the display. The only smartphone right now with Gorilla Glass 6 in India is the OnePlus 6T, and very soon, we will have the Oppo R17 Pro using the same glass on top of the screen. Late in November, Asus Indonesia stated that it would be launching the much-awaited Max Pro M2 on December 11. It came as a surprising news to many as its predecessor, the Max Pro M1, made its global debut in India. But Asus India has now confirmed that it will also be launching the Max Pro M2 in the sub-continent on December 11. And yes, like its predecessor, the upcoming Zenfone is also exclusive to Flipkart as well. Alongside the Max Pro M2, Asus might unveil the Zenfone Max M2 as a successor to the Zenfone Max M1 launched very recently. Yesterday, tipster Roland Quandt revealed the Zenfone Max M2 in almost all the colour options, hinting at an imminent launch. Asus has also posted a teaser video of the Max Pro M2 on Twitter which reveals the front design of the smartphone. As you can see, the handset will sport a notch on top of the display, but the notch is not as big as the one we saw on the Redmi Note 6 Pro, and it’s not as small as the teardrop style one we get on the Realme 2 Pro. 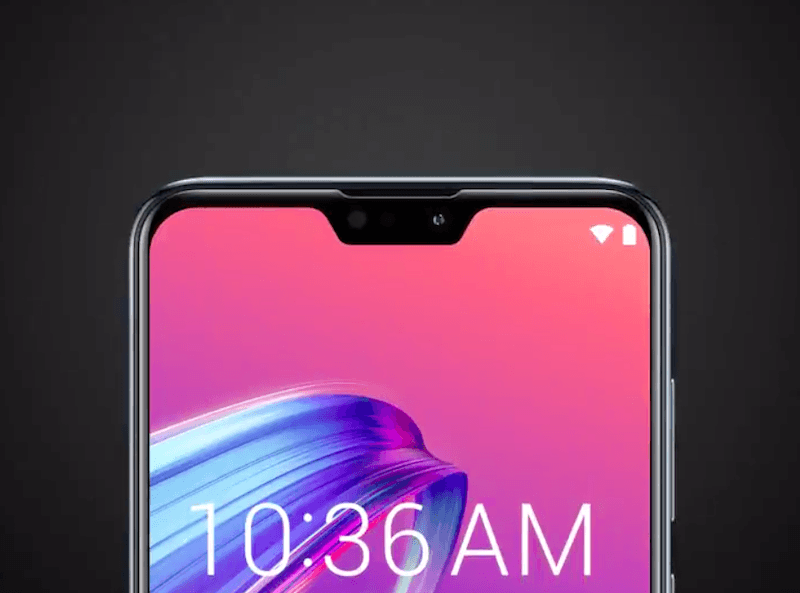 It seems like the notch houses the front-facing camera and LED flashlight, while the earpiece sits on top. Thanks to the notch, the Max Pro M2 might offer more screen real estate than the Max Pro M1 and the display size could be bigger as well. Besides the Corning Gorilla 6 presence, there’s no word from Asus on the hardware specifications, but we have been hearing about the handset for a while on the web now. If the rumours were believed to be true, the Max Pro M2 would have a Snapdragon 660 chipset, upgraded dual rear cameras and a 5000mAh battery underneath. Also, the phone will come with Android 8.1 Oreo out of the box which is clearly evident from the status bar icons present in the images posted by Asus. The Asus Zenfone Max M2, on the other hand, is said to have the Qualcomm Snapdragon 636 chipset, upgraded dual rear cameras and a 4000mAh battery. Both the smartphones are expected to launch in India on December 11 as Flipkart exclusives. Snapdragon 660 has 2 versions one underclocked at 1.95ghz and other one 2.2ghz(Qualcomm website), the one used in realme 2 pro i think is an underclocked version of sd660(remember its first leaked as having sd660 lite). what about mi A2?? is 660 “lite “any time” better than 636?